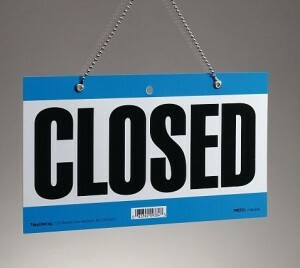 AUSTIN – A major abortion facility in the capital city of Texas closed its doors last week, becoming the latest such location to shut down as a result of recent pro-life legislation in the Lone Star State. In a statement released on Thursday, Whole Woman’s Health of Austin—a company that had been performing abortions in the Texas capital for over ten years—announced the immediate closure of its Austin facility. The statement, which described the Austin location as the “flagship clinic” for Whole Woman’s Health, said the closure was due to Texas’s recently-passed House Bill 2 (HB2). “House Bill 2 … has forced us into yet another closure, this time because we’re unable to meet the standards of an ambulatory surgical center at this location,” the statement explains. As previously reported, Texas Governor Rick Perry signed HB2 into law last summer. The law not only bans nearly all abortions after 20 weeks gestation, but it also requires abortion facilities to meet increased health standards. Last week’s closing of Whole Woman’s Health of Austin came two years after the center was fined over $22,000 by the Texas Commission on Environmental Quality after the remains of aborted babies murdered at the facility were dumped into an area landfill. Stericyle, the Illinois-based medical waste disposal company used by the Austin facility, was fined $42,000. According to recent reports from the University of Texas at Austin, 41 abortion facilities were operating in Texas last summer. However, about half of those locations have now closed their doors, and the state’s abortion rate has fallen by 13% over the past year, with 9,200 fewer abortions annually. By the time HB2 goes into full effect on September 1, only six abortion facilities may still be operating in the Lone Star State. In April, several abortion providers filed a lawsuit to challenge some key requirements of HB2. Regardless of whether or not they win the lawsuit, Whole Woman’s Health vows to continue fighting for abortions. Meanwhile, many pro-life supporters were encouraged by the news of the Austin abortion center closing.